Ashley represents an independent and locally owned professional plumbing team. Looking for a new home is a daunting task in itself, but finding the perfect location only to realize it has a septic system can often cause worry in buyers unfamiliar with them. However, this system isn't quite as complex or scary as it lets on. With a little awareness and just a bit of regular care, this time-tested system will mostly take care of itself. Believe it or not, but the septic system has been around for more than a century. The invention is credited to French engineer John Mouras, who created the first prototype around 1860. He used clay pipes to move wastewater from his home to a concrete tank and, after ten years, dismantled the system to see if his theory that sewage was better stored before discharge was accurate. To his surprise, it was nearly free of solids with mostly liquid effluent. From this success, he obtained a patent in 1881 after finalizing the system with the assistance of Abbé Moigno. 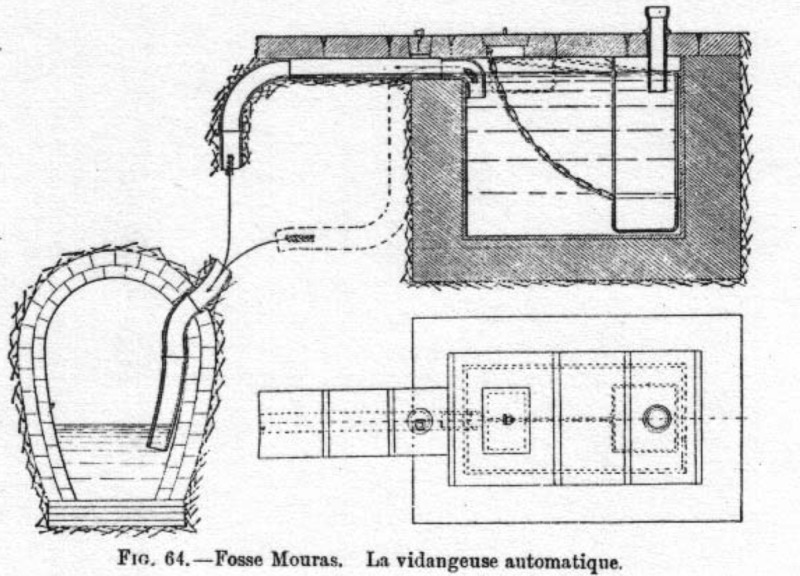 It wasn't until two years later that septic systems began appearing in America. The United States was very influential in development of off-mains drainage and were installing septic systems and drainage fields to a very high standard as early as the 1920's. However, they did not become popular until the 1940's when systems became cheaper during the post-WWII economic boom. Still, these older systems began to fail in the 1960's and, ten years later, many cities began regulating system sizing and design, along with permitting new system installation, to ensure their integrity. 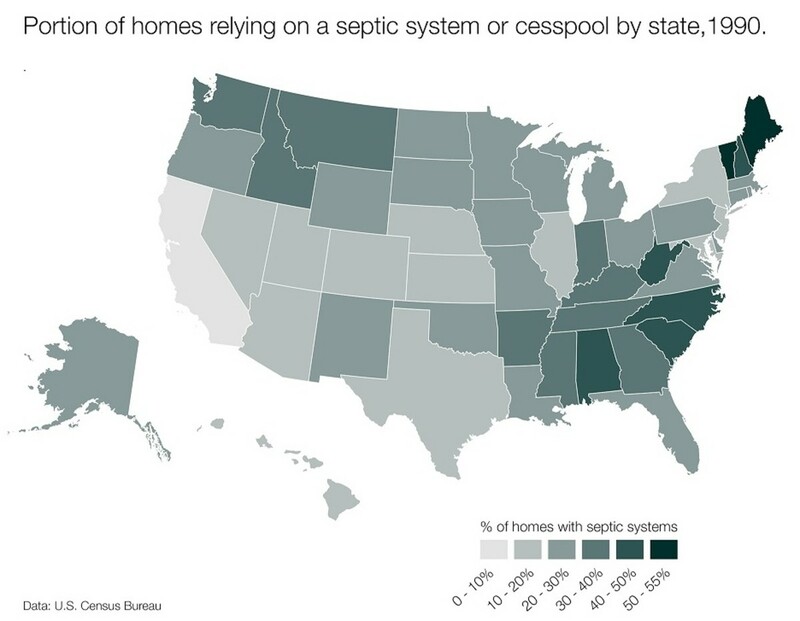 Today, septic systems, whether shared between households or individual, are used in a quarter of all households throughout the United States and many are still being built with them. 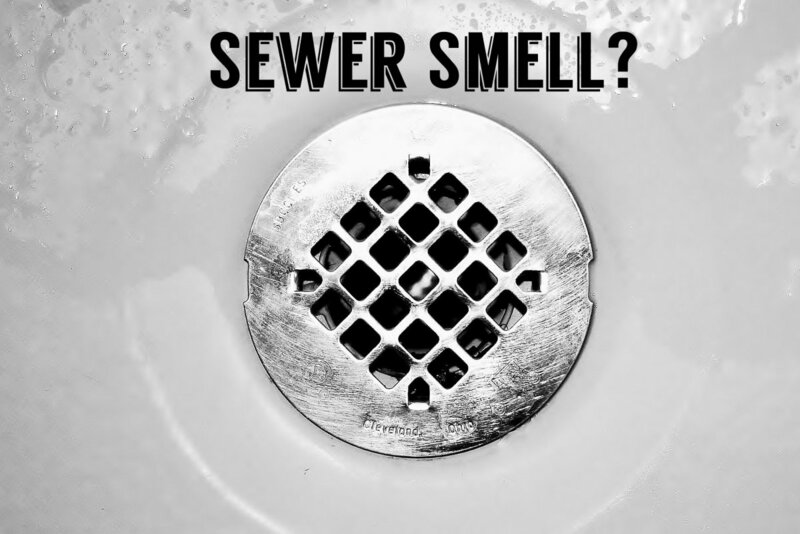 Most common in rural areas, especially in New England and the Southeast, these homes are generally unable to connect to centralized sewer systems. 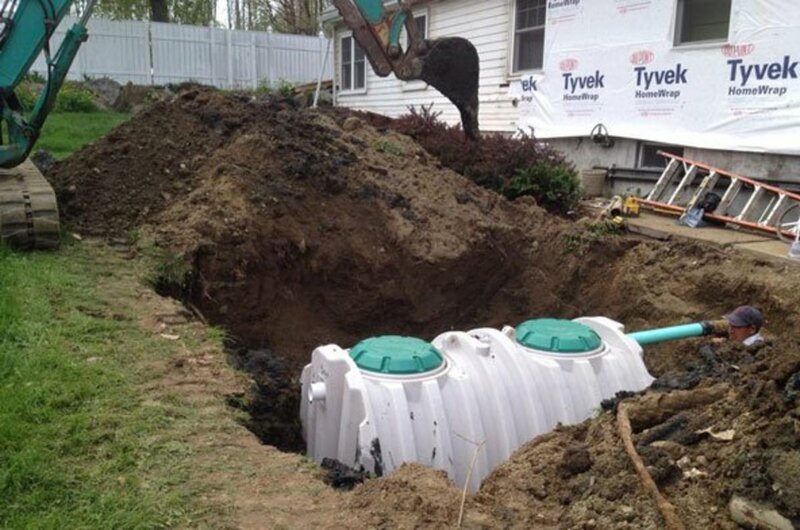 A typical septic system consists of two distinct parts: the septic tank and the drain field. The latter may also be referred to as leach or soil absorption fields. The system uses a combination of nature and technology to treat wastewater from bathrooms, laundry and the kitchen sink. This also includes waste from the garbage disposal. 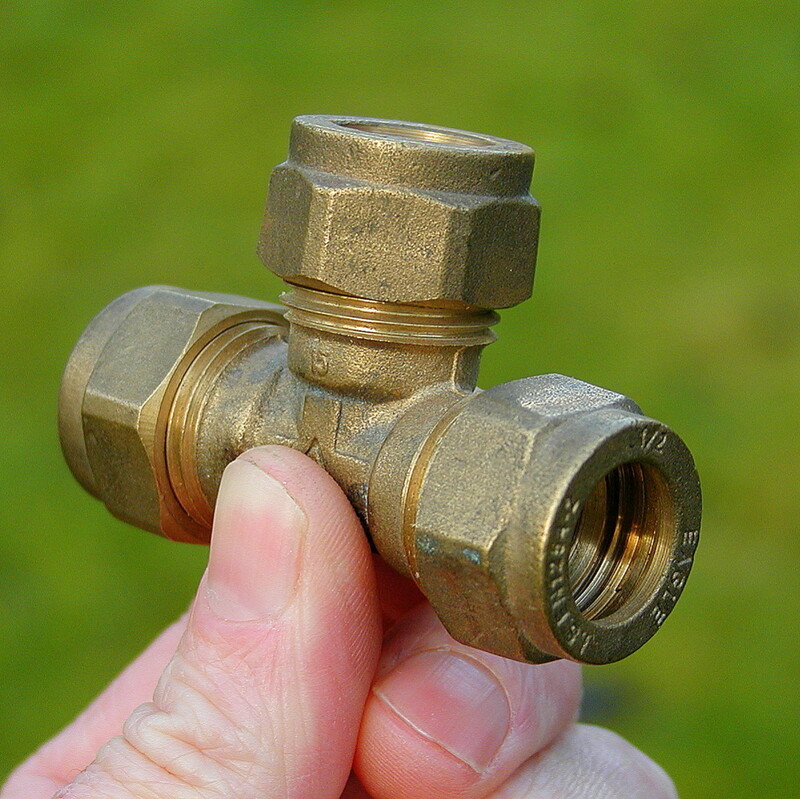 Once used, the water travels from the home to the septic tank through one main drainage pipe. The tank, which is usually made of concrete, fiberglass, or polyethylene, is buried underground where it holds the wastewater long enough to separate. The solids settle down to the bottom as sludge and the oil and grease float to the top as scum. Compartments and a T-shaped outlet keep these in the tank while the liquid wastewater, commonly referred to as effluent, exits to the drain field. The drain field is a shallow, covered excavation made of unsaturated soil. Piping discharges the pretreated wastewater onto porous surfaces that allow it to filter through the soil. 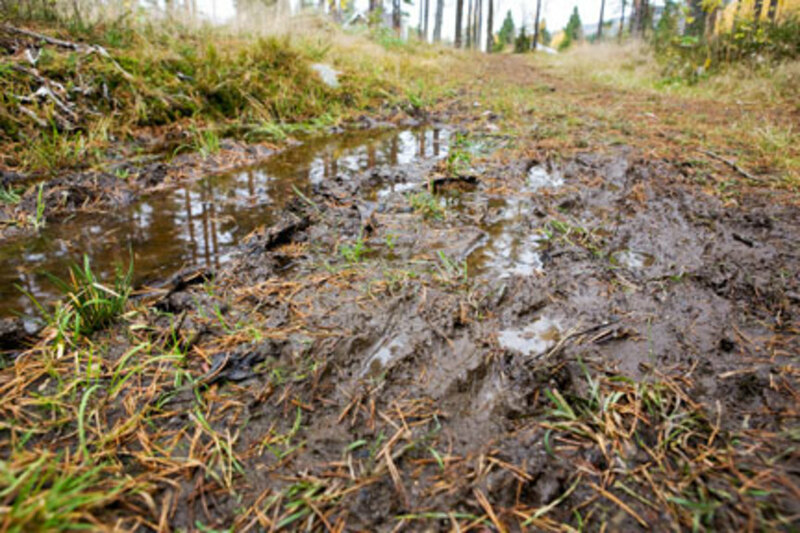 The soil accepts, treats and disperses the water as it percolates through the soil, naturally removing harmful coliform bacteria, viruses and nutrients. In the end, it is discharged to groundwater. Efficient water usage is important in maintaining septic systems as all the water used in a home will end up in the septic system. 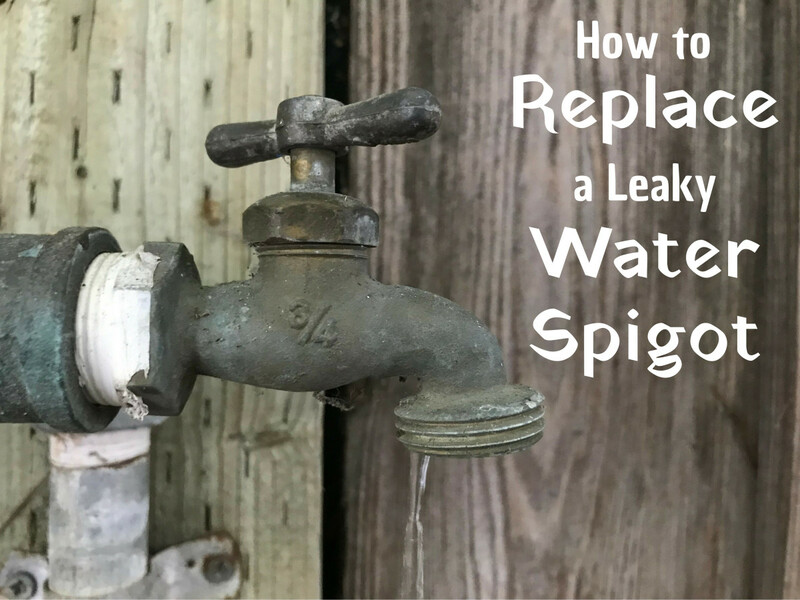 Using high-efficiency toilets, faucet aerators and showerheads, selecting the proper load size for laundry, and promptly addressing leaky fixtures can reduce the volume of water entering the system, which reduces the risk of failure. Similarly, avoiding excessive waste disposal is essential. 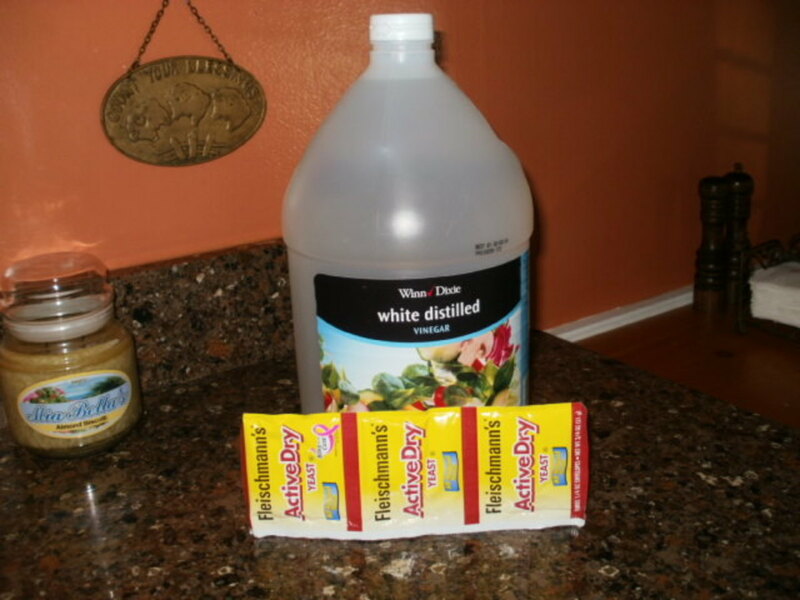 Never pour cooking grease or oils, coffee grounds, photographic solutions or household chemicals like pesticides, antifreeze and paint thinners down the drains. Avoid flushing feminine hygiene products, paper towels, flushable wipes, diapers, condoms, dental floss, pharmaceuticals, cigarettes or cat litter. The septic system contains organisms that digest and treat human waste and toilet paper, but these harmful items can kill them or otherwise block and damage the entire system. It's also important to be aware of the drain field. Never park or drive over the field. Ensure roof drains, sump pumps and other rainwater drainage systems are away from there also as excess water can slow down or stop the water treatment process. When working on landscaping, plant trees an appropriate distance from your drain field to keep the roots from growing into the system. 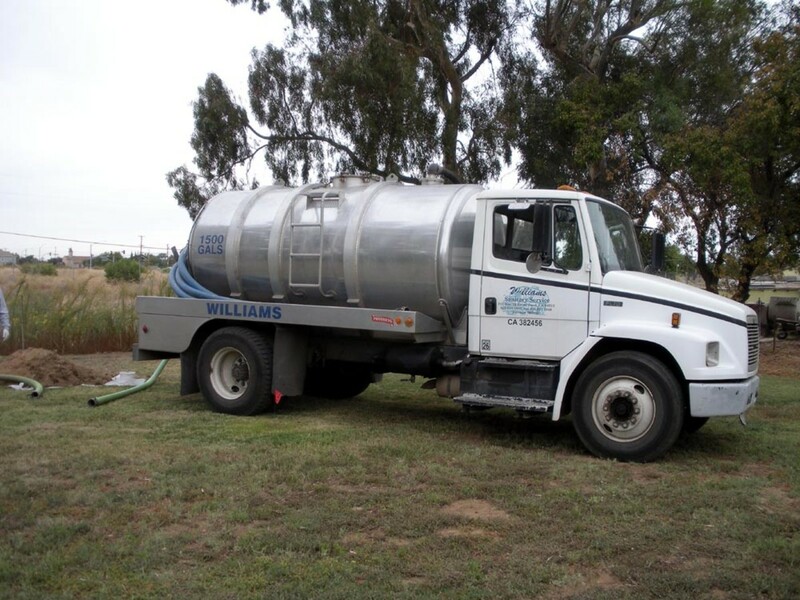 If needed, a septic service professional can advise how far is an appropriate distance based on the type of tank and landscape. 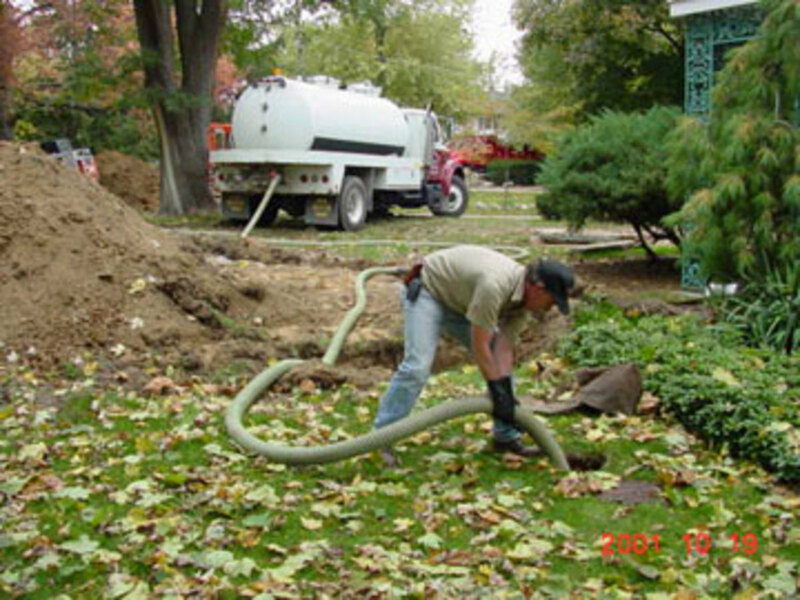 Septic systems do require regular inspections, at least every three years, by a service professional. The number of people in a household, water usage and tank size may also require inspections over a shorter time frame. Additionally, it is important to be aware of any alternative systems, such as those with electrical float switches, pumps or mechanical components, as these should be inspected annually. Standard household septic tanks also need to be pumped every three to five years. This process cleans out the sludge at the bottom of the tank that does not break down. While the cost of this process averages a few hundred dollars, it is essential to prevent sludge from backing up into the drain field or causing a tank failure, which can cost thousands to replace. While there have been several reports expressing concerns about the environmental impact of individual septic systems, most note that this threat is present almost exclusively when proper maintenance does not happen. As long as homeowners care for and utilize this system correctly, they should last for decades. However, the growing amount of systems may be more than the environment can handle even with proper maintenance. In some areas, the human releases of nitrogen has disrupted the balance of naturally occurring nitrate. Soil usually absorbs very little nitrate and the excess moves into the water table through groundwater movement and rainfall events. Nitrate in high concentrations is toxic to humans and can render a water source unfit for human use. This also risks aquatic ecosystems as well. Elevated levels of nitrogen in waterbodies cause algae blooms. After consuming the excess nitrates, the algae blooms die off and microorganisms feed on them which then greatly reduces the amount of dissolved oxygen in the water. When oxygen levels fall below 30% saturation, the water becomes hypoxic and can no longer support fish or other aquatic species. New technology is keeping pace with this and septic systems capable of reducing nitrogen are currently available for the environmentally conscious. 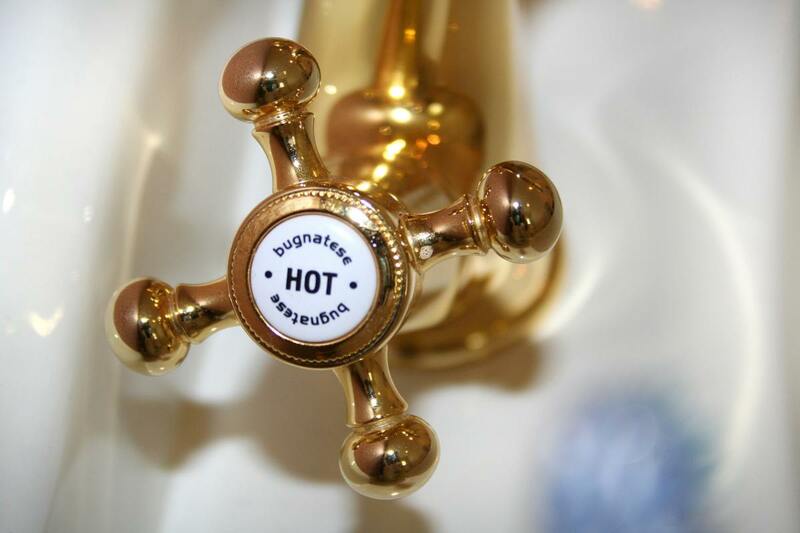 Still, it is not yet required and therefore not used in most homes as it can be expensive to put in place. 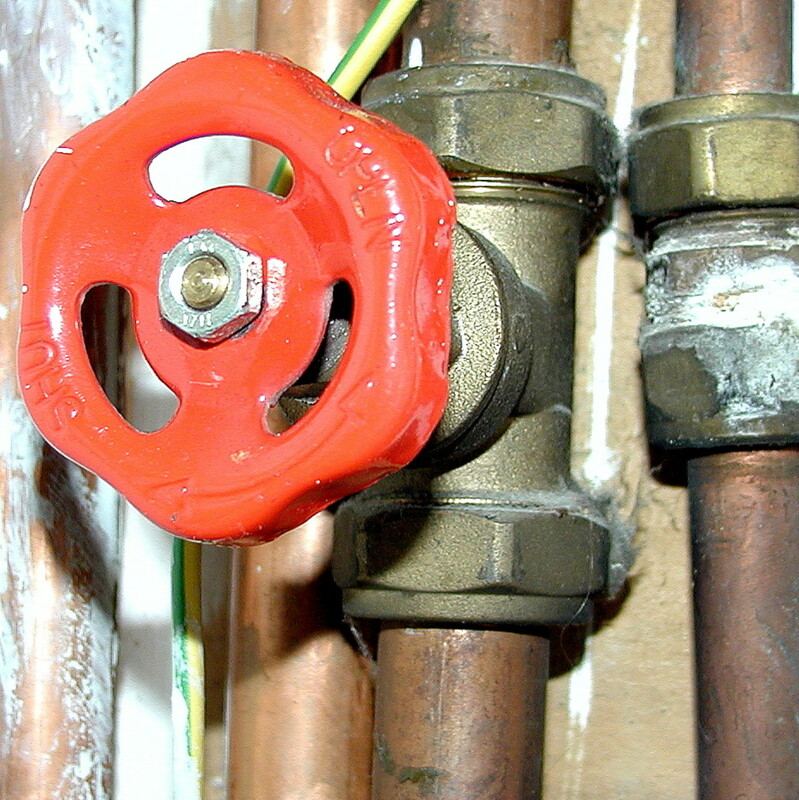 Even with the best maintenance, homeowners should be vigilant for any signs of failure. 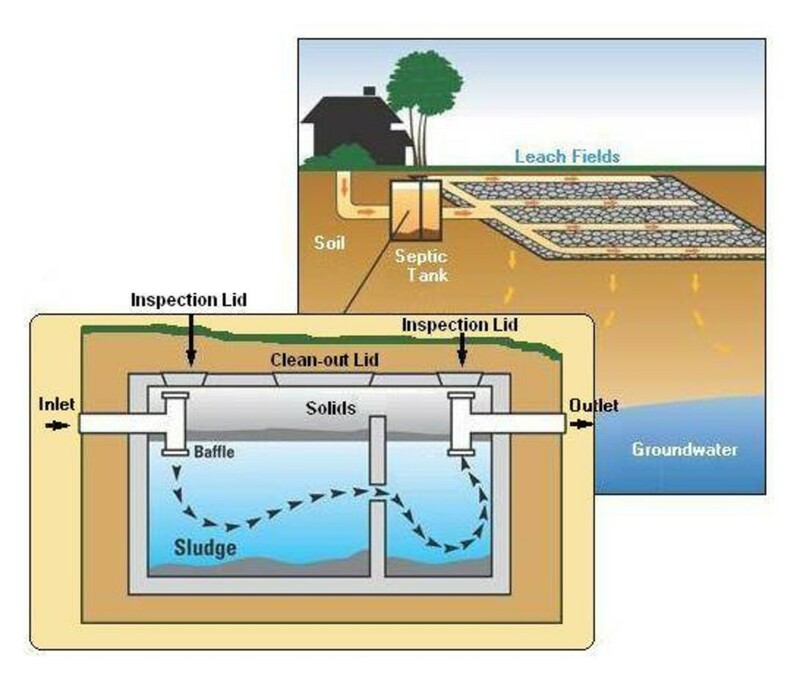 Some things to watch for include a sewage smell in the home, yard or drain field, greener grass around the septic tank site and wet ground or standing water in the drain field. The latter will require immediate attention as these cause a health hazard. In the home, listen for gurgling in the pipes and watch for toilets refusing to flush, which can indicate that the tank is too full of solids and cannot work properly. This should also be addressed promptly to avoid a back-up of sewage. Never hesitate to reach out to your local septic professional with any questions or concerns about your septic system.